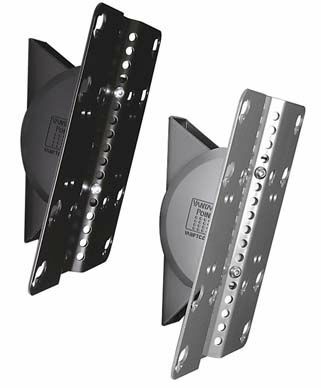 More on the Vantage Point Axsys Series Universal Tilting Wall Mount for 23-37 inch Screens AX2WL02 below. Easy accommodation for 23-37" flat screen TVs. 100mm and 200mm VESA® mounting pattern compatibility. +5 and -15 degree tilt range. A low-profile design, standing just 2.75" from the wall. 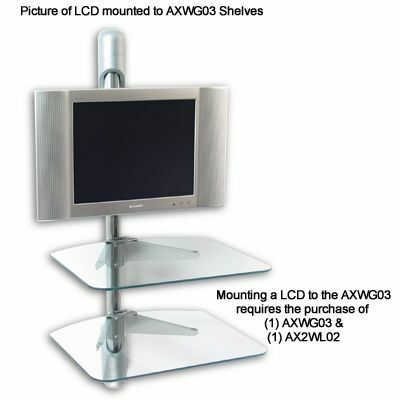 Easy compatibility with Vantage Point's AXWG03 3-shelf component wall system.